Good Morning- Happy, Happy Wednesday!! It's time for another set of colors at the Color Throwdown!! This week the colors were chosen by Amy Rohl!! I went with a soft look using Altenew sets/dies. The leaves were stamped with new leaf ink onto watercolor paper and then watercolored softly with the same color. They were stamped again and watercolored and die cut with the matching die and layered "offset" on top. Leaves are from Golden Garden. Next, I stamped a sentiment from Painted Greetings using my misti so I could get good coverage. 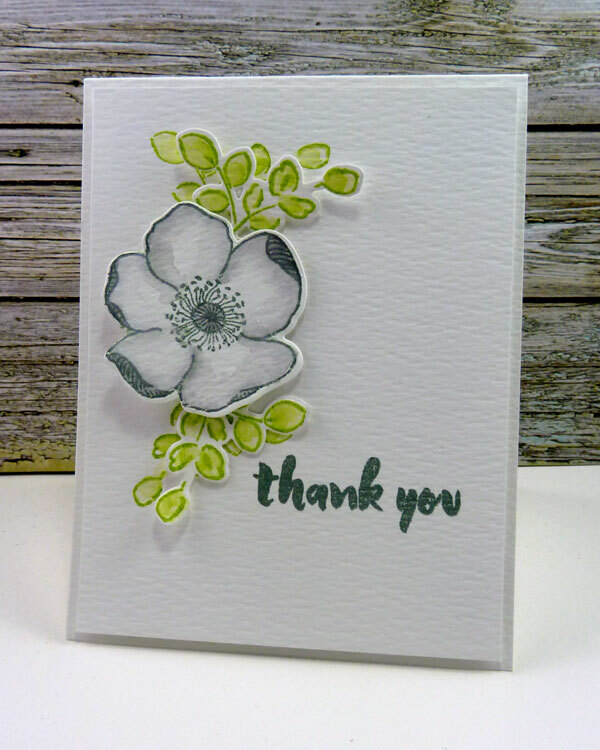 The flower is from Altenew's Adore You with smoky ink and die cut with the matching die. It was layered over the leaves-popped up on foam. Once you’ve finished your card or other paper-crafted project, add a direct link to your creation using the Inlinkz tool at the bottom of the Color Throwdown post. 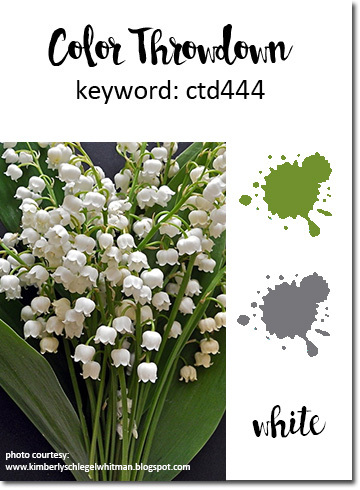 And, don’t forget to use the keyword CTD444 if you upload your project to an online gallery, or hashtag on social media with #ctd444 and/or #colorthrowdown.